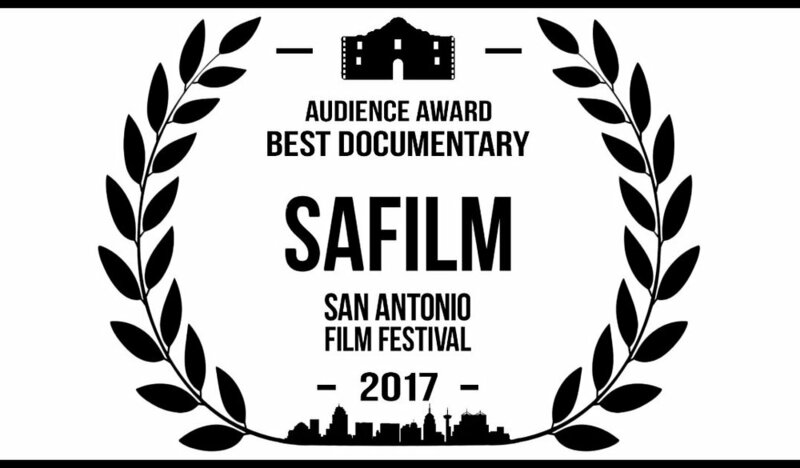 Our World Premiere at the San Antonio Film Festival was a completely different experience compared to the private screening at the Disabled American Veterans National Convention. First, a little bit of background. The SA Film Festival is a lot like other film festivals in that, over the course of a few days, attendees have a unique opportunity to watch a wide range of movies with the actual filmmakers - most of whom are student and independent directors/producers. 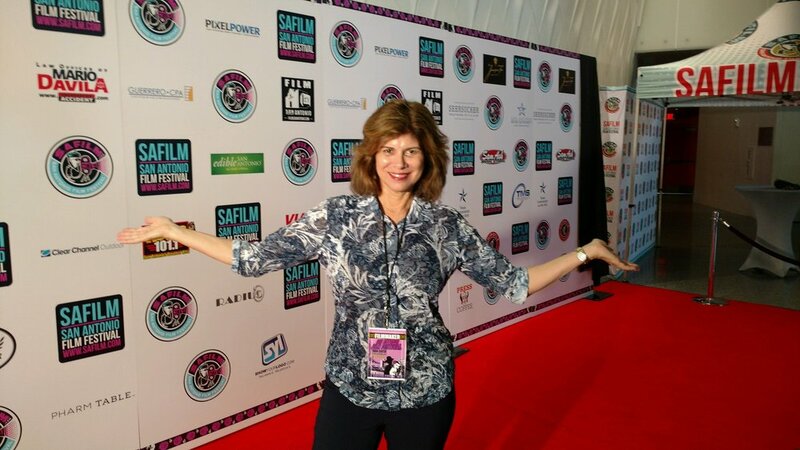 Attendees can purchase tickets for each film, or, to take full advantage of what the festival has to offer, can buy a festival badge that grants admission to all films, speaking events, award ceremonies, etc. There's also plenty of fun and exclusive merchandise for sale, along with the traditional theater concession food and drink options. If you are a regular moviegoer, cinephile, or somewhere in-between, film festivals are a great bargain and an excellent way to discover new and upcoming filmmakers. We recommend you check one out at some point. 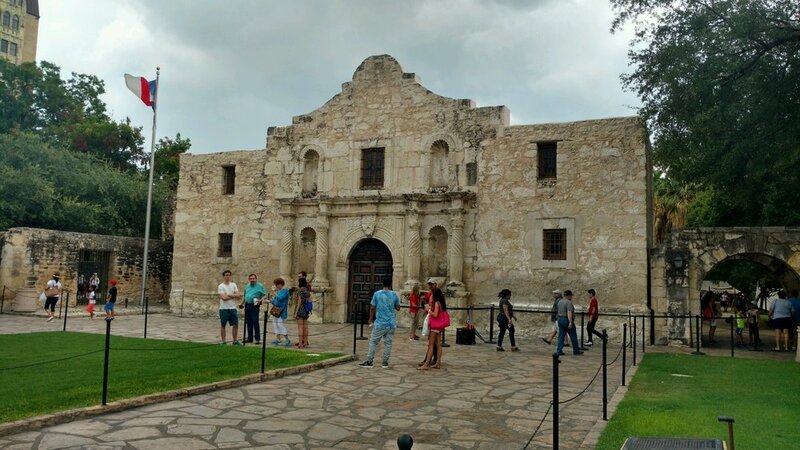 We arrived to San Antonio on Wednesday, August 2 immediately following our trip to New Orleans where we held our private screening at the Disabled American Veterans National Conference. Even though the premiere wasn't till Friday, we decided to come a little early to prep, conduct a few interviews with a few local radio stations, and have some time in-between to enjoy a little bit of San Antonio. Being back in San Antonio felt like a reunion in many ways. Several people that were involved with the film were able to join us for the world premiere. And we couldn't be more grateful that several of the caregivers and veterans featured in the film were able to join us. Ashley and Andy Toppin drove in from the Houston area with parents Bill and Suzi Toppin. Caregivers Kathreyn Harris, Luana Schneider and Connie Henline were there - Luana made a special trip in from Kansas. Wounded veteran Bobby Henline joined us as well as one of our San Antonio photographers, Izzy Cardoza. We were even fortunate to have Micaela Bensko, her husband, Don, and her service dog, Blue Belle, fly in from California. About an hour away from showtime, the crowd began to fill the lobby. It was a perfect time to catch up with familiar faces, meet new ones, and take some premium photo-ops on the red carpet. Here are a few photos we captured with the caregivers and wounded veterans, just before going into the theater. After everyone took their seats, the film was introduced by a very special guest, Amy Palmer—the Executive Director of Soldiers’ Angels. Amy knew all of the caregivers and their families who were in San Antonio as she worked with all of them on their caregiving journeys. Several of Amy’s staff from Soldiers’ Angels also came to the screening. Their support and enthusiasm is so appreciated. Like most film festivals, SA Film held an awards ceremony, recognizing 'Best' films in the various categories. We are proud to say we won the Audience Award for Best Documentary! We just received the good news and are patiently awaiting for the award to arrive. We'll post photos as soon as we get it! The most unexpected but very welcome part of the San Antonio trip is that the screening gave “closure” to several of the caregivers. There were many tears, but this time they were tears of relief—not sorrow. I think everyone had fun getting their pictures taken on the red carpet. It’s so wonderful the caregivers were able to feel like the “rock stars” they truly are. 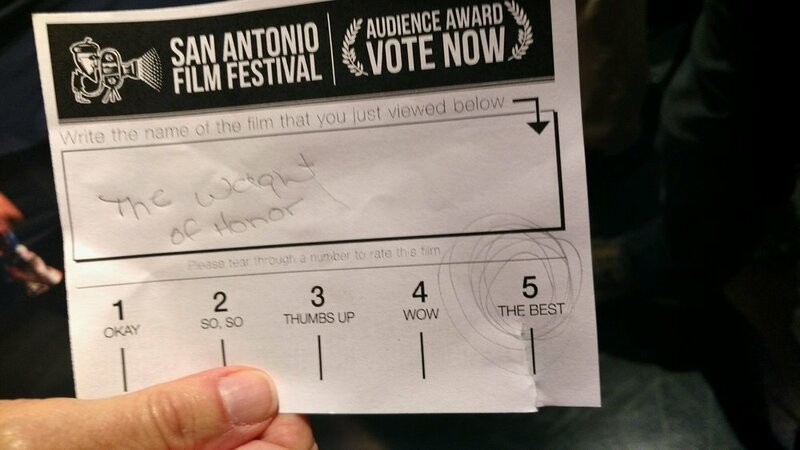 Again, a big thank you to the San Antonio Film Festival. The staff made us feel welcome and embraced our caregivers. We hope to come back for other screenings in San Antonio, Texas. We’re also waiting to learn if we’ve been selected for some other film festivals that run between now and the end of the year. More to come as we confirm these and a few other events we're working on.